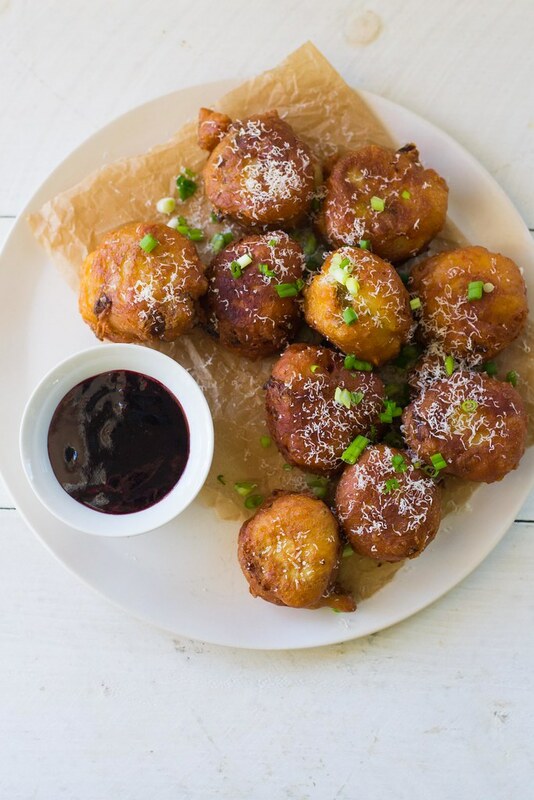 So right when you ask for more latke recipes…You think I’d bring you more latkes recipes?? Well, yes of course. There’s a few more coming later this week, but today we have a new fried lovah in town. 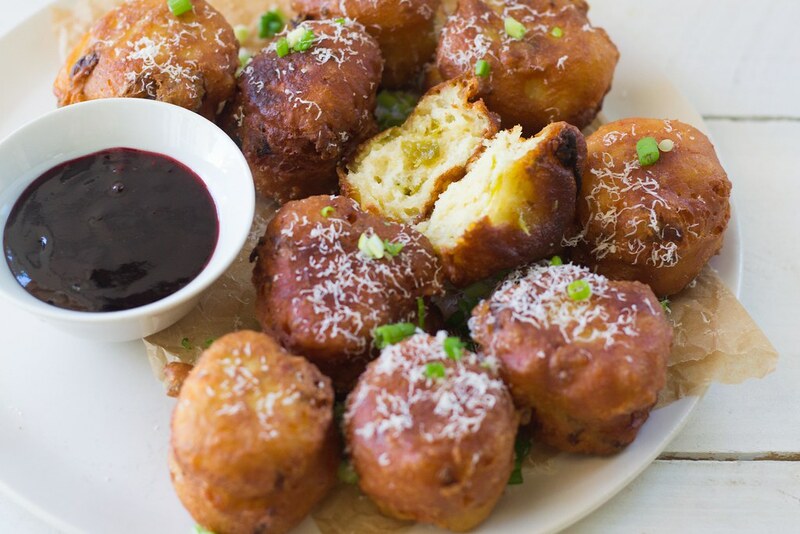 Meet…the savory donut! With wine and cheese, of course. A few of my blogging friends and I wanted to get together this Hanukkah and have a virtual Hanukkah party AND Giveaway!! (Scroll down to read about it!) …you may remember it from last year. 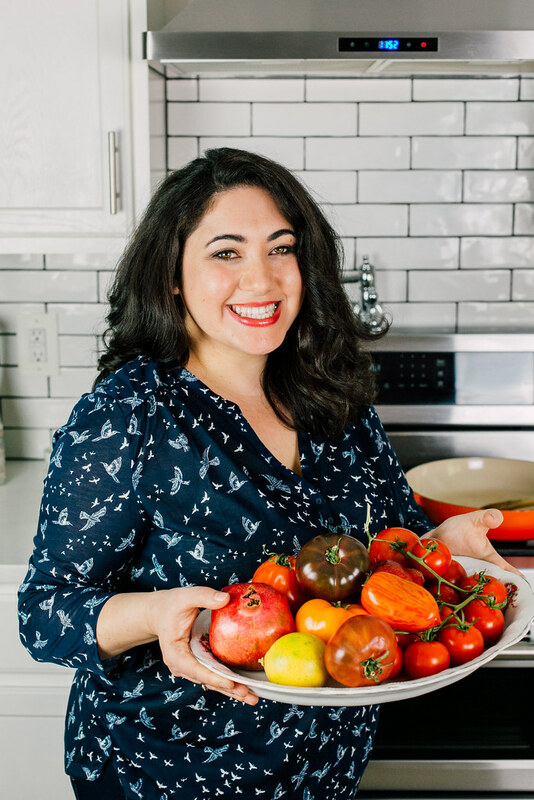 But instead of doing the the tried and true several course dinner with appetizers and entrees, yada yada…we are staying positively dedicated to Hanukkah fashion and frying! All donuts, all day long! Do ya love it? Now you know me (and I hope you do by now), that I have a very front savory tooth. I’d take a plate of falafel over cake any day. So of course I have to savory-fy the donut! I did it last year with my Swiss chard sufganiyot (very good combination of flavors if you decide to try) and did it again this year. Trust me and go there. Wine and cheese is everything you need. And then some spicy hatch chiles, because if you love spice, this will make everything nice (too corny for ya?, Ya me too). 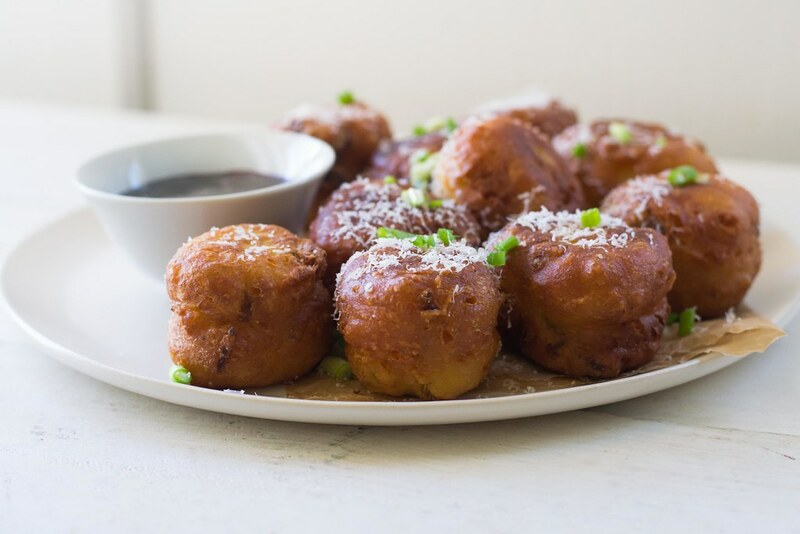 These savory donuts are fried to golden perfection and studded with pieces of hatch chile and cheddar cheese throughout the dough. Next time I may STUFF the donut with cheese (Joey suggestion). To counteract the spice and savory factor, I made a simple sweet raspberry wine dipping sauce. Easy and not too sweet…add it all to a pot and reduce and then save some for ice cream later (another one to trust me about). Now have some donut fun and get frying! Here’s what everyone else made for our Hanukkah donut party! And for the fun part…. This giveaway is strictly for Instagram users. So please head on over to my Instagram (@FerraroKitchen) and check out what we’re all giving away! Good luck! To make the donuts, whisk together the water, milk and eggs together until well combined. Then sift together the flour, salt, cayenne and baking powder. Slowly mix in the dry ingredients with the wet until a dough forms. Then fold in the cheddar and parmesan and chiles until combined. In a medium sized pot, add oil to about 2-3 inches deep. Heat oil to about 350 degrees F or until you can tet it with a piece of dough and it sizzles. Use a cookie scoop to spoon dough into oil and fry for 2-3 minutes on each side or until golden brown. When done, remove to a paper toweled lined tray and sprinkle with additional parmesan cheese and chopped green onion for garnish. To make the sauce, add all ingredients to a small pot and boil for 10min until thickened. Then strain through a fine sieve, discarding cinnamon stick and solids and allow to cool. 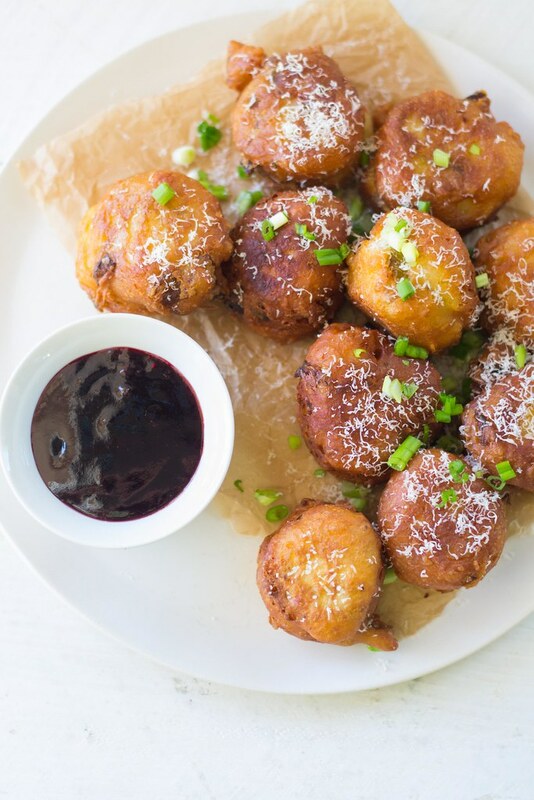 Serve donuts with raspberry sauce. These look awesome! I wish I could try one. What about cheese stuffed inside the donut and in the batter and on top!! There’s always room for more cheese!